Hello there loves! :) Hope you are having a lovely Friday thus far. I am writing this and its actually Thursday night but I am having such a fun night working on blog things and listening to/ jamming out to some of my favorite songs! :) Love getting into a good music mode because that just makes everything so much more fun. Maybe that sounds crazy, but good music makes everything "funner" for me! Oh and yes I'm aware "funner" isn't a word, but ya know what? I think it should be! HAHA!! :) There are just so many scenarios were "funner" just seems fitting. 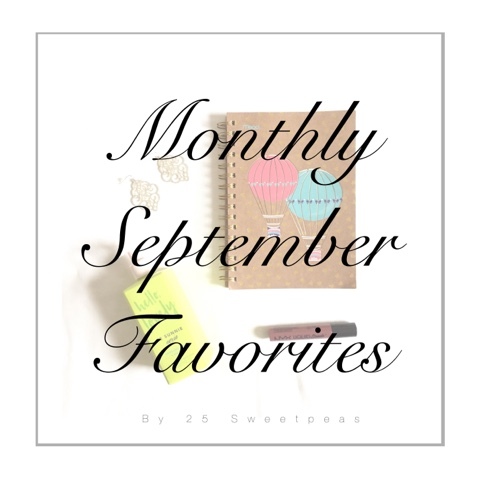 :) Well anyway.... Today's post is about this months faves, plus some fun art, and a new chapter in my book. So I think its time we get into the post and getting on to other random things. LOL! 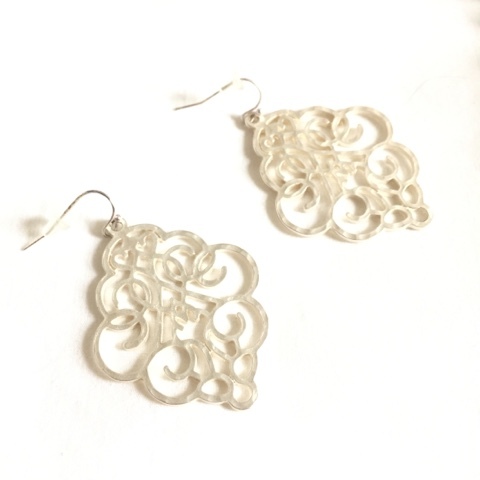 Also for this month I included these cute earrings from Artsy Abode. They go with everything and I've been wearing them as my go to earrings this month. Plus they look so heavy but they are probably one of the lightest pair of earrings I have. Ha! Oh my so I LOVE this lipstick! I got this for my Birthday in August and have been wearing it all the time since. 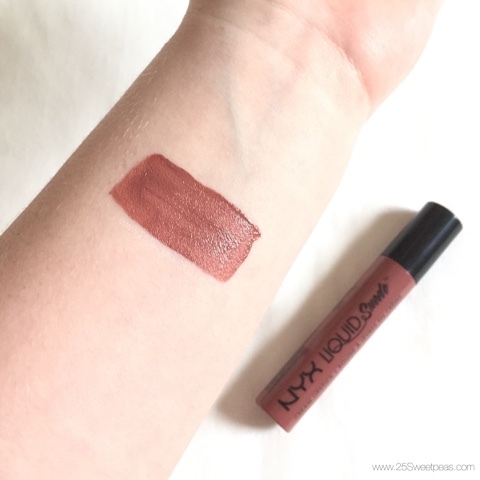 Its a NYX Liquis Suede names Soft-Spoken and its a perfect transition to fall color. Last year I was all about the marsala lip colors but honestly lots of the clothing I wear in the fall is marsala so I needed something different so I didn't/don't have to worry about the marsalas clashing and well I just love this color. Its hard to explain color wise because its kind of a brown yet it has some mauve tones and pink and so on. Its just really pretty and I'm obsessed! Plus oh my it lasts really long! It does tranfer a bit to straws and such but it still looks good. For example I put it on like at noon today and around 8 I could still tell it was there. That was after dinner, and a lot of puppy kisses so I typically wouldn't be able to see any color left but I did which is pretty great. Todays nails were so so fun to do. 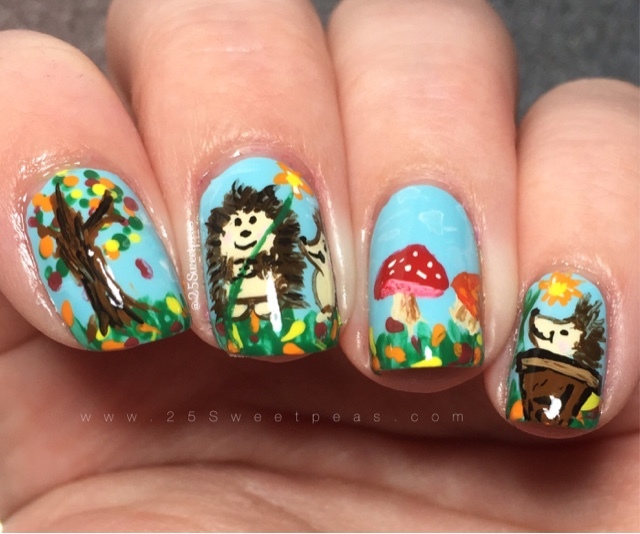 :) They were inspired by hdinails via Instagram. 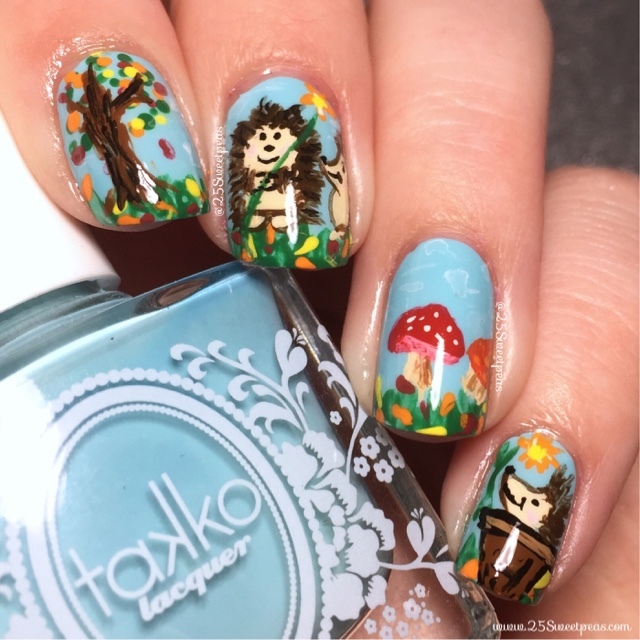 All of her nails are just amazing! She has so much talent and I wish I could pull all of them off but ha, there is no way. 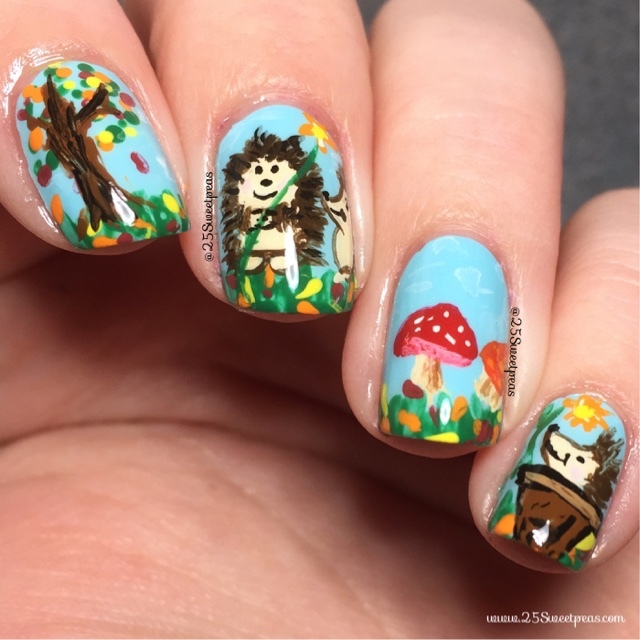 These hedgehogs and mushroom/fungi was fun to do! I used Takko Lace Ask Alice as my base color. :) Then all of the details were freehanded with acrylic paint. What do you all think of these little guys!? I like how the whole thing is bright yet its a fall mani.